Following a preview from the Swoosh a few days earlier, UNDEFEATED delivers the Nike Zoom Kobe 1 “Protro” in a pack featuring three colorways matching its signature colorways. 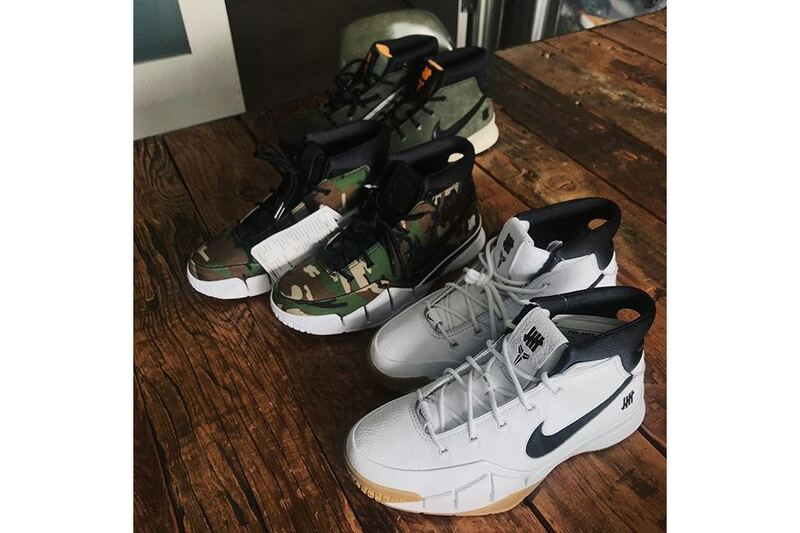 The Camo version gets a white midsole and Five Strikes branding while the white rendition sees classic black logos similar to the brand’s Nike Dunk High released back in 2013. A third Olive/Orange suede model was teased by UNDEFEATED CEO Eric Peng Cheng and will most likely be a friends and family version similar to the UNDFTD x Air Max 97 collaboration from last November. Take a first look above, and expect the White/Gum and Camo Nike Zoom Kobe 1 Protros to hit shelves on February 15 and February 16, respectively. Currently there is no information on the release date for the Olive Green pair, but keep your eyes peeled for updates.